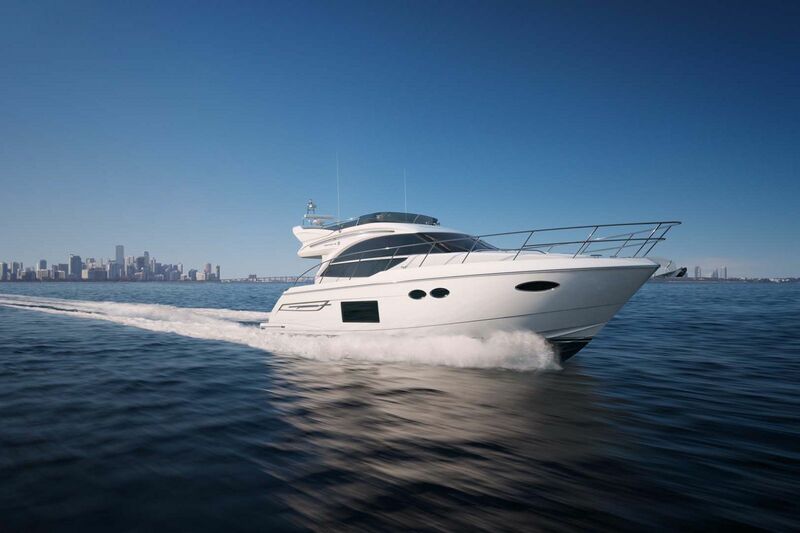 The all-new Princess V65 Express Yacht is the largest model in the V-series and is built with the yacht owner in mind that enjoys cruising, but also wants a powerful and maneuverable vessel. 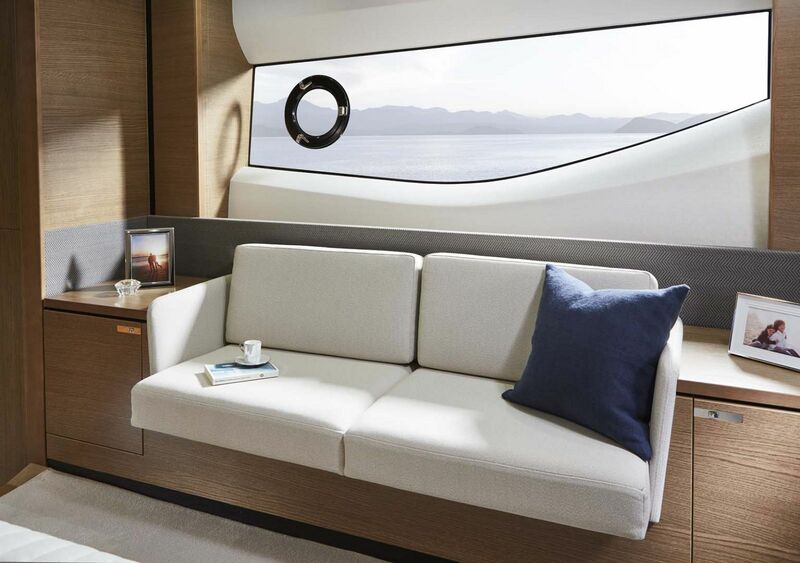 The unique deep-V hull shape allows the boat to cut through the water with ease delivering a stable platform when underway. 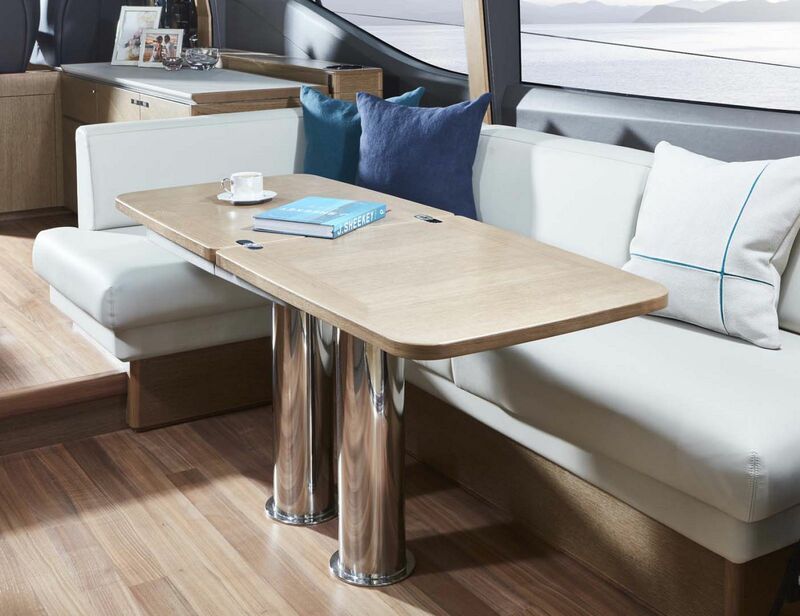 Stability is important as well when entertaining guests which the V65 has a plethora of opportunities on board for dining, conversing, or relaxing with the view. 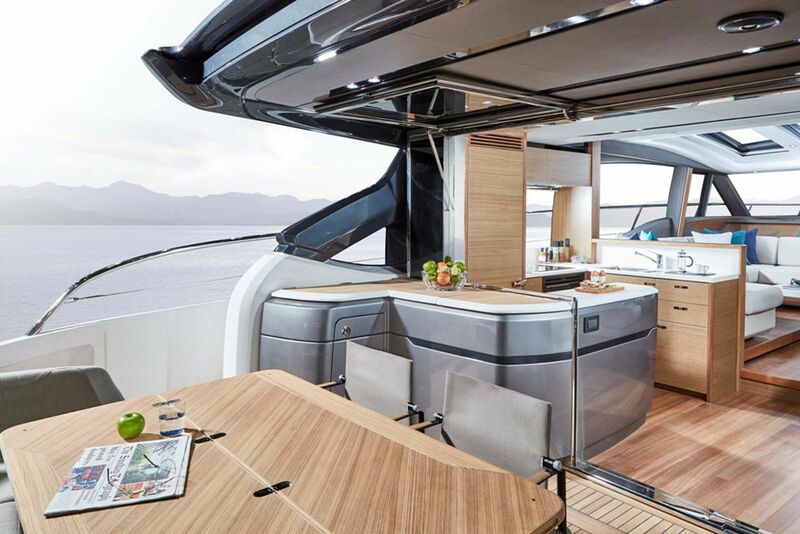 The Princess V65 can comfortably fit eight people on board for overnight trips, but with a bow sun lounge, a spacious aft cockpit, and an interior that is large than most 70-foot motor yachts, you may go hours without ever seeing everyone on board. 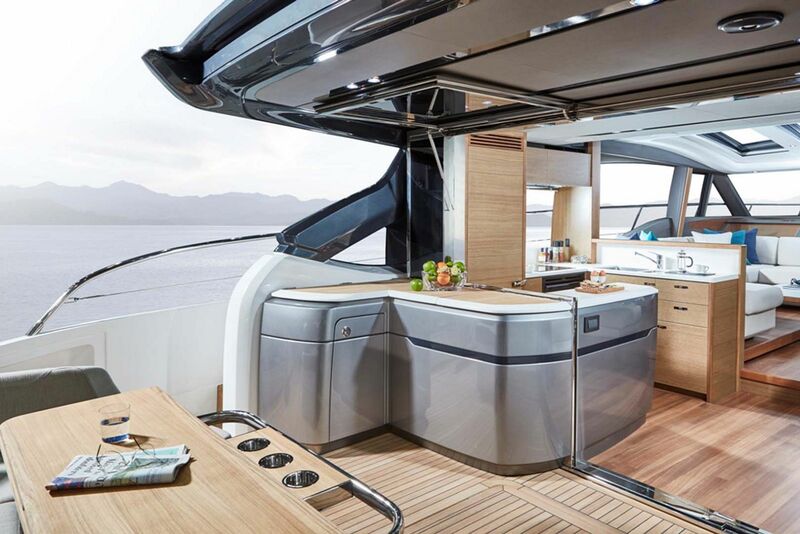 Starting with the transom, owners and guests will love the hydraulic swim platform that lowers into the water creating your own private beach “deck” and has additional lounge seats in back. 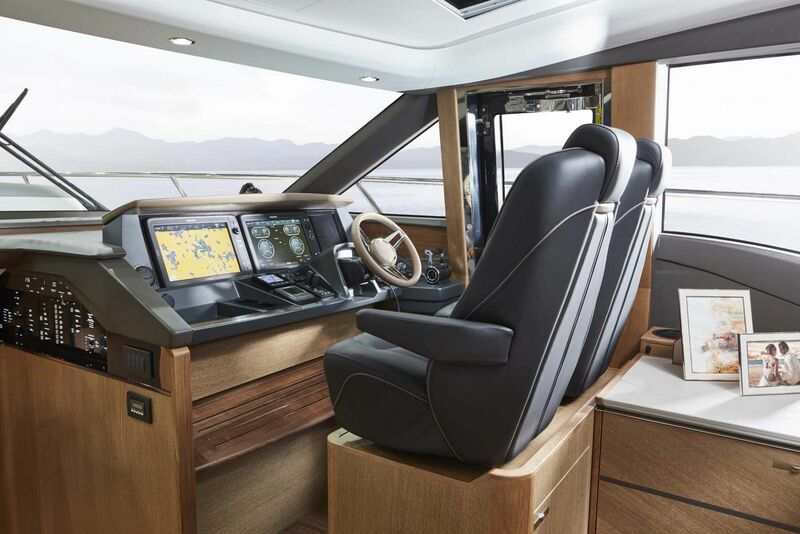 The aft cockpit features a U-shaped seat that can seat 6 comfortably, a dining table, and two additional chairs. 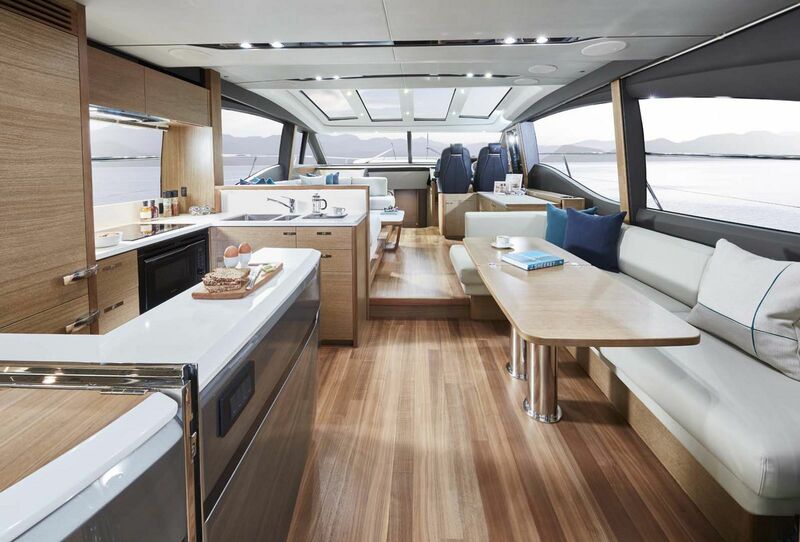 The salon doors slide open revealing the galley which is placed aft and the interior dining table and seating. 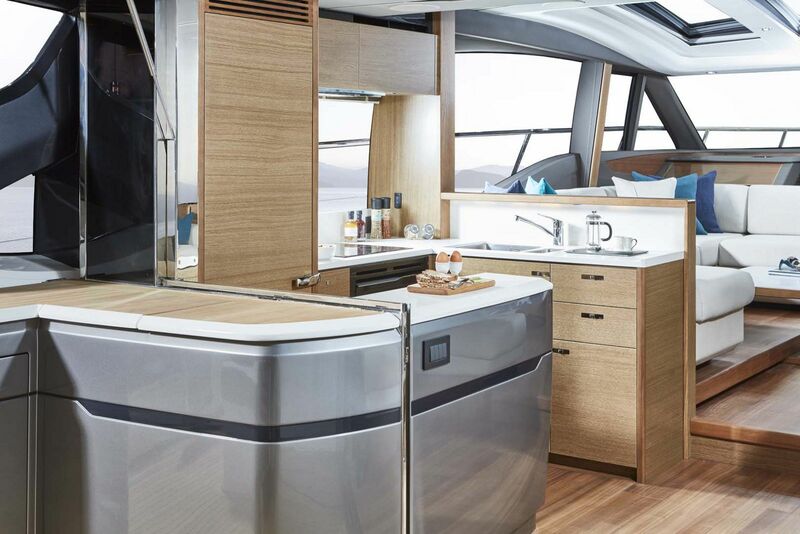 With the salon doors open, serving drinks and food from the galley to everyone in the aft cockpit is easy via the serving bar. 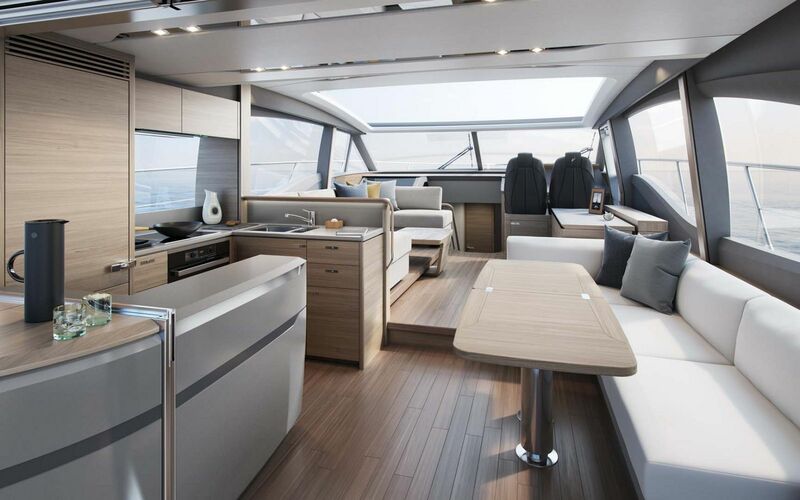 Forward of the galley and dining area is another U-shaped couch in front of a flat screen television and the interior helm station. 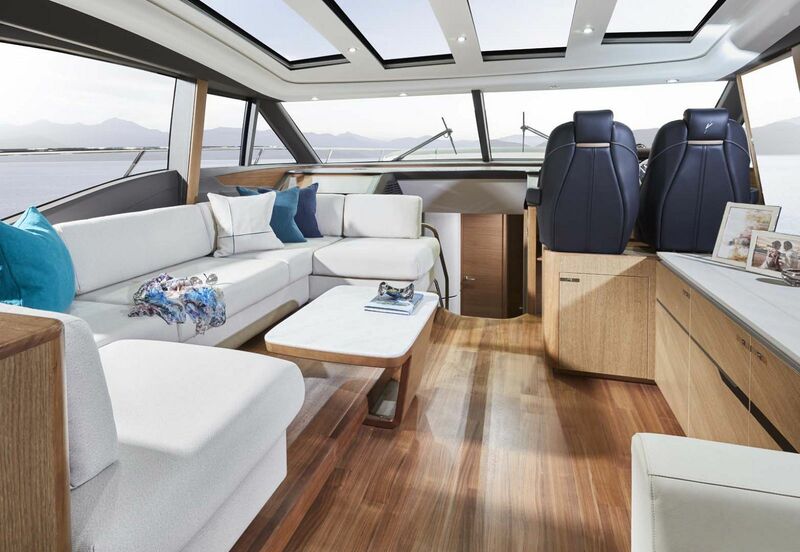 Lots of natural light fills the salon from the panoramic windows port and starboard, and the massive sunroof overhead that opens up the entire boat. 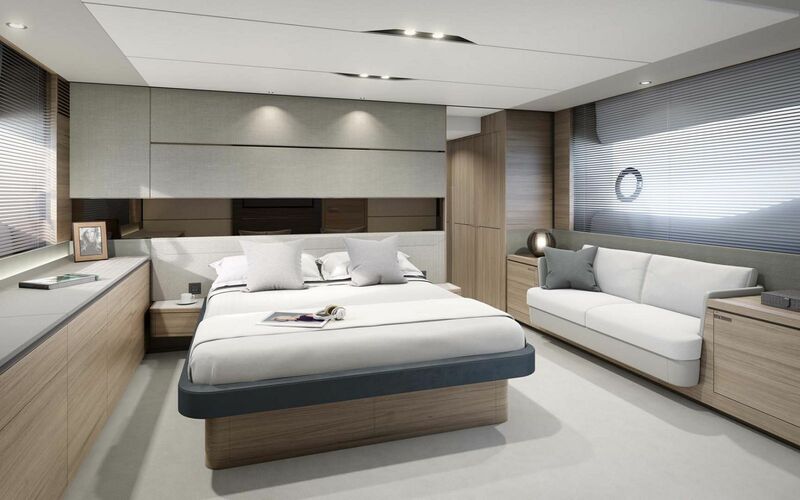 Below deck there are four staterooms and three heads, all of which are incredibly comfortable and spacious. 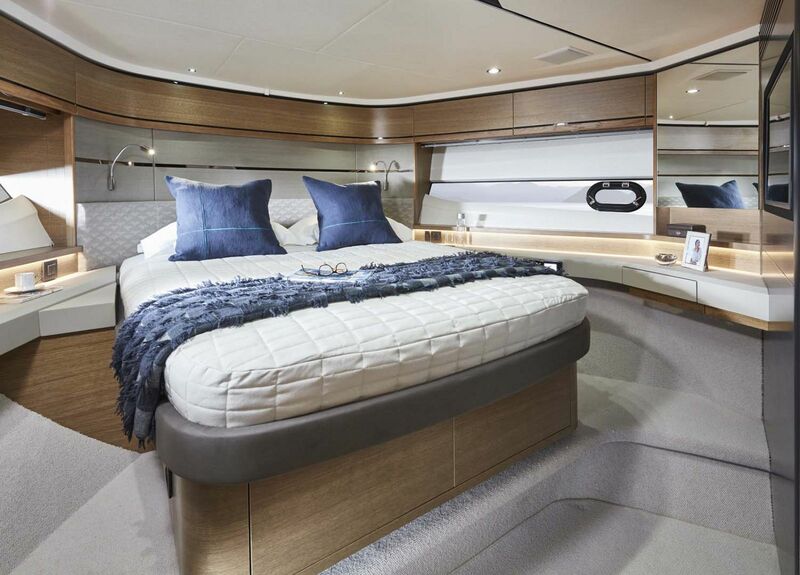 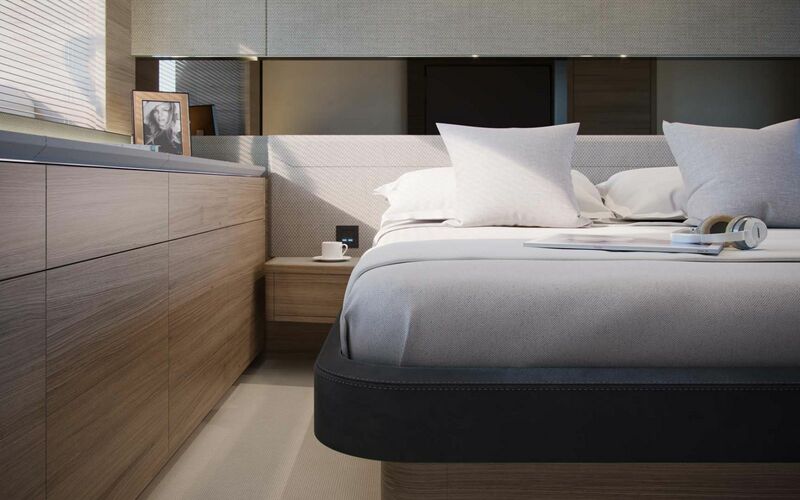 The master suite is amidships and stretches the entire beam of the boat. 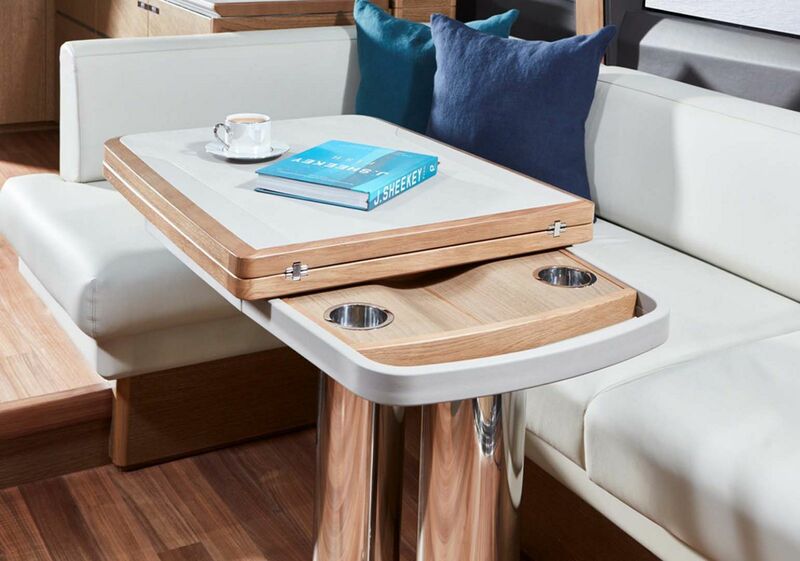 A double berth is center with a couch portside and additional cabinets and storage starboard side. 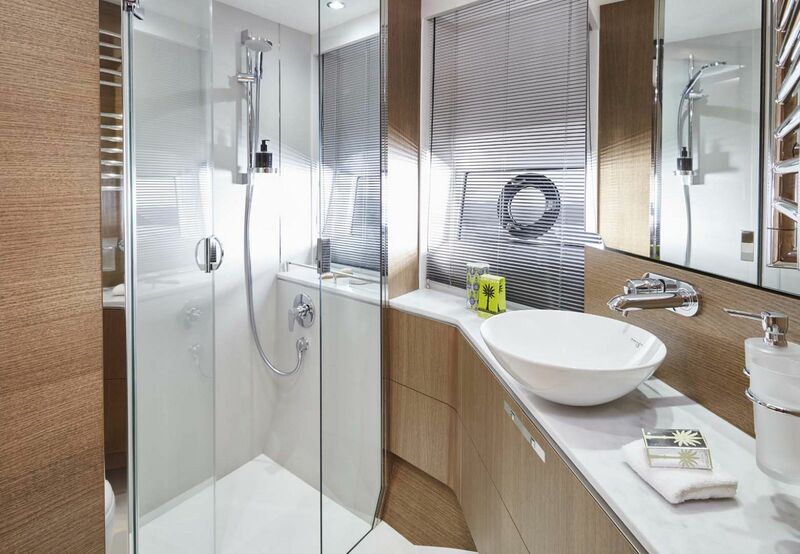 The en suite master bath and closet walk-in closet together run the full beam as well and feature plenty of room for two people to move around. 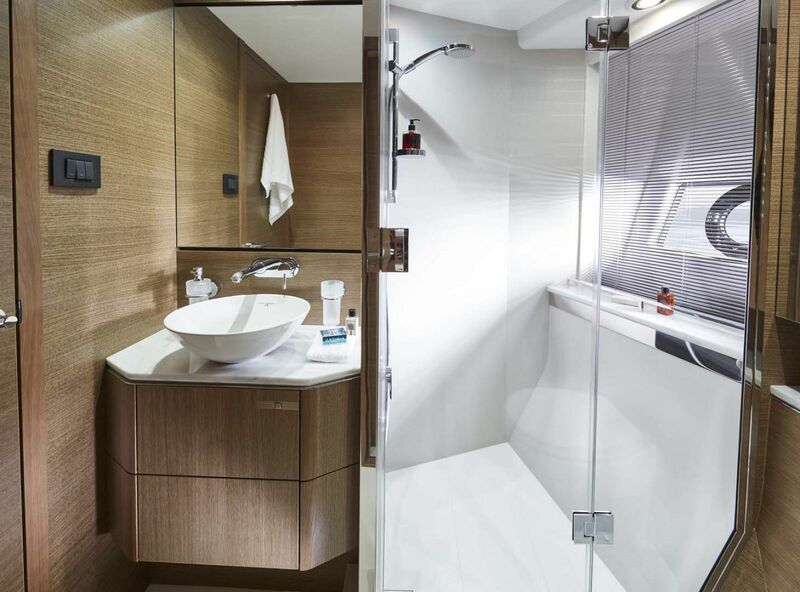 The VIP stateroom is placed forward in the bow and also has a double berth and its own private head. 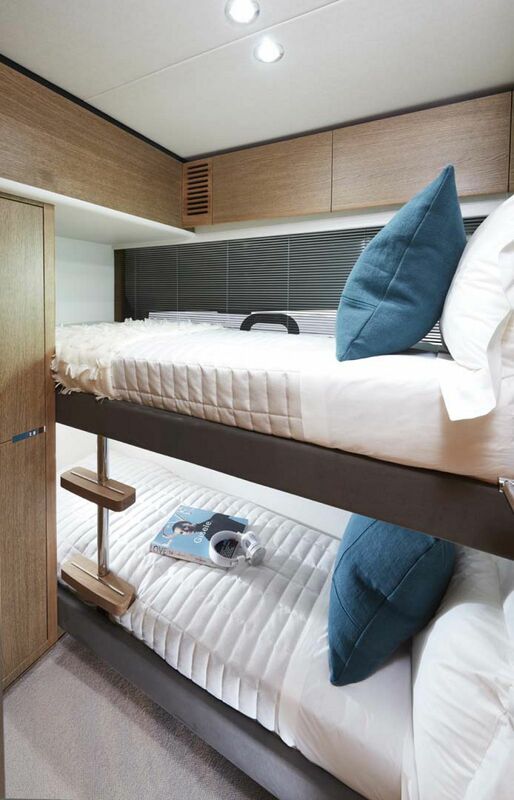 Two additional staterooms are between the master and VIP, one with over-under bunks and the other with side-by-side beds. 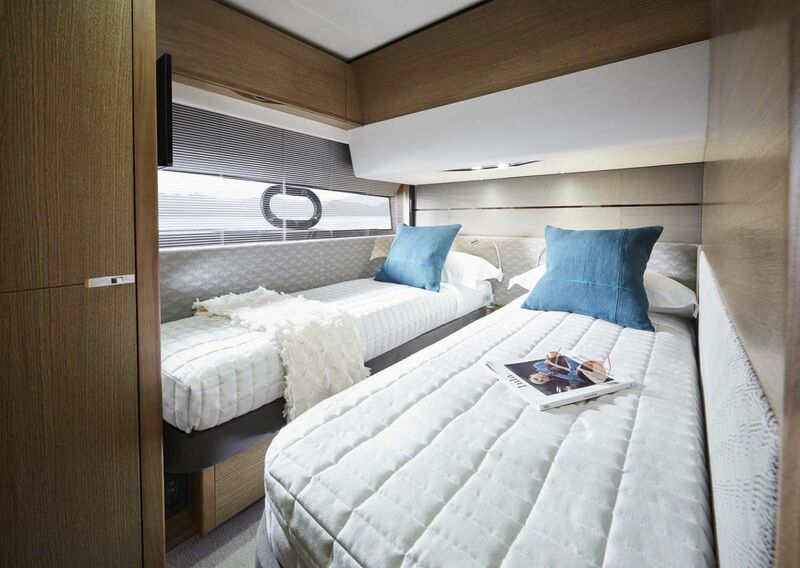 Both of these staterooms share the day head. 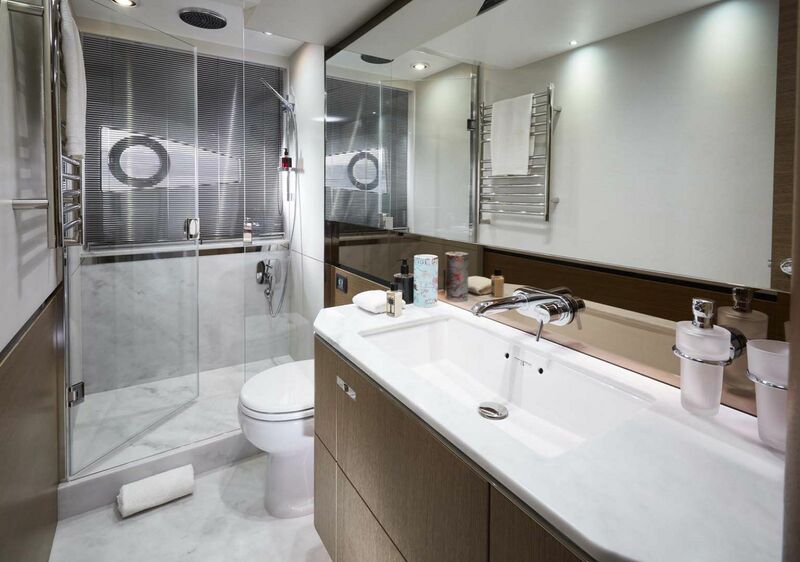 For the owner that wishes to bring along a captain, there is a crew quarters aft next to the engine room that has its own head and small galley station. 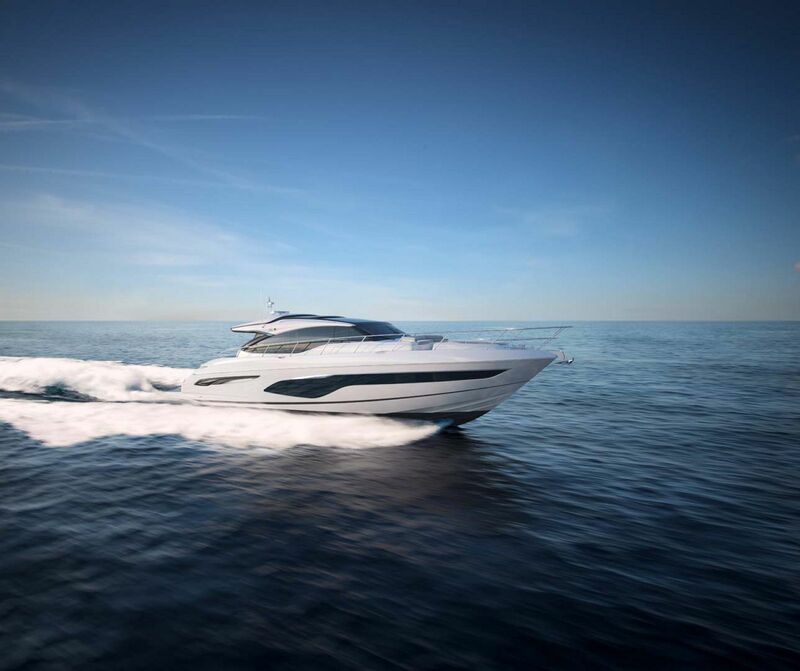 Powering the Princess V65 are twin MAN V12 engines that produce 1,400 horsepower and can accelerate the vessel to between 36 and 38 knots. 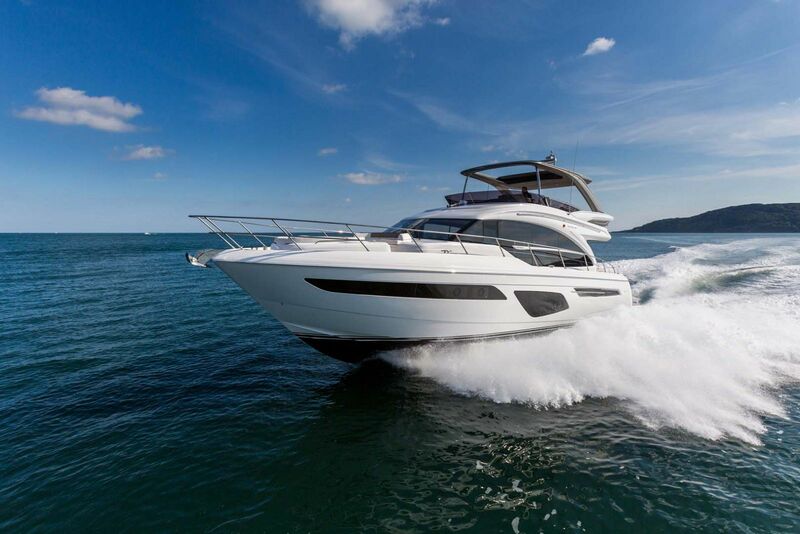 For more information on the new Princess V65 Express Cruising Yacht, please contact your Staten Island Yacht Sales Professional.